Biomedical research at Vanderbilt has long been recognized for its contributions to the advancement of medicine. The School of Medicine claims two Nobel laureates: Earl W. Sutherland Jr., in 1971, for his discovery of the metabolic regulating compound cyclic AMP, and Stanley Cohen, in 1986, for his discovery with a colleague of epidermal growth factor. 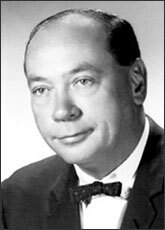 Dr. Earl Wilbur Sutherland Jr. was born in 1915 in Burlingame, Kansas. Sutherland received his bachelor’s degree in chemistry in 1937 from Washburn University (Topeka, KS) and earned his medical degree in 1942 from Washington University School of Medicine in St. Louis. After serving as a doctor in World War II, he returned to Washington University as a researcher in the pharmacology laboratory of Nobel laureate Carl Ferdinand Cori. In 1953, he became director of the department of pharmacology at Case Western Reserve University (then Western Reserve University) in Cleveland, OH where he discovered the role of cyclic AMP in mediating the action of certain hormones. In 1963, desiring to limit his duties to research, Sutherland moved to Vanderbilt University School of Medicine in Nashville, where he was a professor of physiology until 1973. At the time of his death in 1974, Sutherland was a distinguished professor of biochemistry at University of Miami Medical School. In 1956 Sutherland and Dr. T. W. Rall discovered cyclic AMP. Sutherland’s further research demonstrated the ubiquitous nature and prime importance of this chemical and its associated compounds, notably adenyl cyclase, in all living things. As the result of Sutherland’s work and that of those who followed his lead, it became known that hormones are not the sole regulatory substances in the chemistry of living organisms, as had previously been believed. In many cases, necessary cellular reactions are triggered by cyclic AMP, the almost universal “second messenger,” responding to the hormonal signal. Sutherland’s work on hormones opened up new paths of research into diabetes, cancer, and cholera. A professor of physiology at Vanderbilt University Medical Center from 1963 to 1973. He won a Nobel Prize in Physiology or Medicine in 1971 “for his discoveries concerning the mechanisms of the action of hormones,” especially epinephrine, via second messengers (such as cyclic adenosine monophosphate, cyclic AMP). 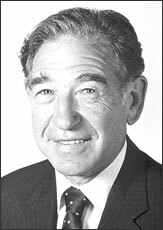 In addition to the Nobel Prize, Sutherland won the Albert Lasker Award for basic medical research in 1970 and received the National Medal of Science in 1973. He was elected to the National Academy of Sciences in 1966. Stanley Cohen was born in Brooklyn, New York in 1922. Both his mother and father were Russian-Jewish emigrants who came to America in the early 1900s. His father was a tailor and his mother a homemaker. Though of limited education themselves, Dr. Cohen wrote in his biography that his parents instilled in me the values of intellectual achievement and the use of whatever talents I possessed. He was educated in the Brooklyn public school system, but earned a full scholarship to Brooklyn College, where he received his bachelor’s degree in 1943 with a double-major in chemistry and zoology. After working as a bacteriologist at a milk processing plant to earn money, he received his M.A. in zoology from Oberlin College in 1945. He earned a Ph.D. from the department of biochemistry at the University of Michigan in 1948. After a short stint at Colorado, he went to Washington University in 1952 to work with Martin Kamen in the Department of Radiology at Washington University as a postdoctoral fellow of the American Cancer Society. He learned isotope methodology while studying carbon dioxide fixation in frog eggs and embryos. In 1953 He became associated with the Department of Zoology under the leadership of Viktor Hamburger at Washington University and joined Rita Levi-Montalcini to isolate a Nerve Growth Factor (NGF) that Dr. Levi-Montalcini had discovered in certain mouse tumors and to become educated in the field of experimental embryology. Cohen isolated nerve growth factor and then went on to discover epidermal growth factor. He continued his research on cellular growth factors after moving to Vanderbilt University in 1959 as an Assistant Professor in the Biochemistry Department, exploring the chemistry and biology of epidermal growth factor (EGF). His research on cellular growth factors has proven fundamental to understanding the development of cancer and designing anti-cancer drugs. In 1986 he and Dr. Levi-Montalcini were awarded the 1986 Nobel Prize in Physiology. Cohen also received the Louisa Gross Horwitz Prize from Columbia University. Dr. Cohen remains active in Vanderbilt School of Medicine activities.